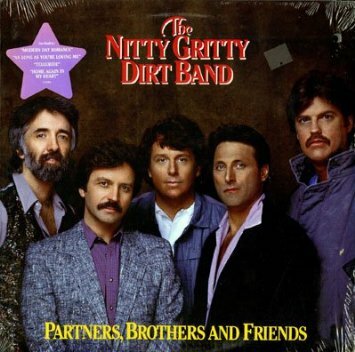 By 1985 the Nitty Gritty Dirt Band were confident in their mainstream country/country-rock style, and released the excellent Partners, Brothers And Friends, a fine collection of mainly up-tempo, mainly positive songs which shows the band at their best. The wistfully nostalgic ‘Home Again in My Heart’ then hit #3, with the banjo most prominent in the mix helping to give it a rustic feel. The charming ‘Old Upright Piano’ (written by Don Schlitz and Rhonda Kye Fleming) also looks back fondly to childhood memories of the narrator’s grandparents, and allows Bob Carpenter to shine on the piano. There is a similar mood to Jimmy Ibbotson’s song ‘Telluride’ (not the song of that name later recorded by Tim McGraw but a cover of a song Ibbotson had written in the 1970s. Its poetically folky lyrics about a 19th century gold miner and his love for his wife are counterpointed by a more contemporary arrangement. The autobiographical title track (written by Jimmy Ibbotson and Jeff Hanna) peaked at #6, but is one of my favourites of their records as it cheerfully chronicles the ups and downs of their career. There are a number of enjoyable upbeat numbers, any of which would have been possible singles. The exuberant ‘Redneck Riviera’ (witten by Jeff Hanna and Bob Carpenter) is an early version of the country beach song, but it’s quite entertaining and rooted in real life. Hanna, Ibbotson and Steve Goodman wrote the catchy ‘Queen Of The Road’, a joyful tribute to a tough girl biker. The breezy cowboy song ‘Other Side of The Hill’ (sometimes also known as ‘Cadillac Cowboy’ and recorded by a number of other artists) is another enjoyable cut. Slowing things down for a moment, ‘As Long As You’re Loving Me’ is a love song with a pretty melody written by Don Schlitz, Lisa Silver and Russell Smith. The band’s instrumental playing on this track is spectacular. 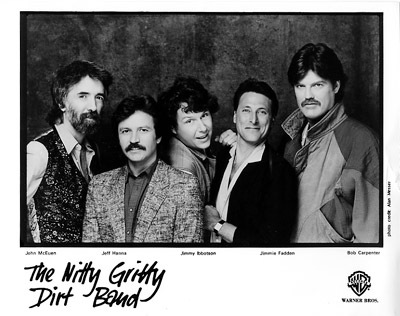 This album sees the Nitty Gritty Dirt Band at their best. It is strongly recommended (and can be found as part of a 2-4-1 CD with its predecessor.